Questions about the TIF related to the SeneGence property development on Hwy 33 went unanswered at the City Council Meeting last week. The first order of business was the Mayoral appointment of Charles Betzler (Technical Writer for Sapulpa Times) to the Library Board. He will replace Clarence Barten and complete his unexpired term ending in May 2019. The Library Fund was amended by increasing the revenue and appropriations to $13,318.00 for a State Aid Grant to be used on training, equipment, furnishings and books. Reg Green, the Mayor commended Dr. Martha Stalker for her work as Director of the Library. 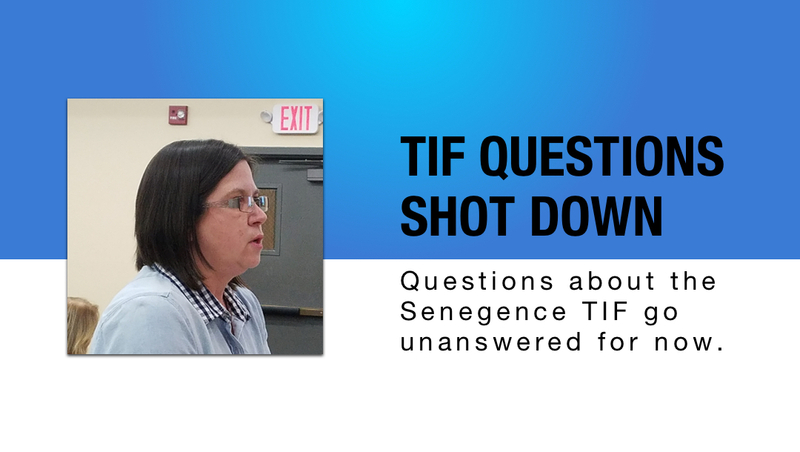 Repeatedly, Cale remarked that she is not against the TIF or SeneGence’s improvements in her neighborhood, but she had questions that need to be answered before it is finalized. She was assured that the second public hearing would allow her to ask questions. TIFs are a financial tool that Oklahoma governmental agencies use to encourage infrastructure improvement. A twenty-year TIF is a long one, and after 20 years, and the paid-off loan, the TIF would resolve and all of the tax revenue is reapportioned to the city. That is what SeneGence wants, with the loan being repaid by ad valorem taxes and sales receipts from the company, SeneGence. Sapulpa’s City Attorney, David Widdoes, stated that the Environmental Protection Agency gave a $1.5 million grant to Sapulpa to aid in building sewer lines, and that is part of the cost of $7.5 million for the total sewer line project. The second public hearing was set for April 18th, 2019, at 7 p.m. in City Hall Council chambers. An insurance settlement in the amount of $4,941.00 was added to the 2018-2019 budget for the purpose of replacing pumps for the public pool. There was a $5,000 deductible on the pumps, according to Joan Riley, City Manager. The Aquatics Center was vandalized last summer, destroying the filtration machines by draining all the water from the pool and running the pumps dry. The annual budget was also amended in the Grants and Aid Fund for $174,349.00 to recognize a grant from CDBG Urban County Program Grant to make improvements in drainage at Park and Dewey (near the SeneGence-owned building) and part of the Master Drainage Plan. The service agreement with Motorola for radios used by the officers in the amount of $14, 557.20 was also approved. The next Council meeting will be Monday, January 21st, at 7 p.m.